Kavala is a city in eastern Macedonia. Is the third largest city of Macedonia, located 680 km from Athens and 165 km from Thessaloniki. Its population reaches 55,000 residents. 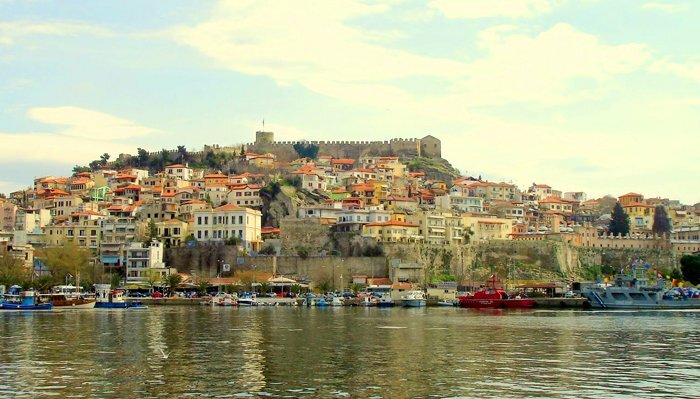 Kavala (Neapolis under previous name) had great strategic and economic importance over the centuries mainly because of its position. It was a stop place for both the sea routes in the region, and for the Egnatia road which passed through here, connecting the East with the West. It is one of the few cities of Greece into the urban fabric has four sandy beaches as well as three groves, with sports facilities suitable for day trips. The large arched aqueduct of the city, known as the "Kamares" is the most recognizable monument. Constructed in the early 16th century, under Ottoman rule, on the ruins of a Byzantine aqueduct reaches a length of 270 meters and a height of 25. The 6.5 km course that follows the water is impressive, starting from a height of 400 m passes over five aqueducts and its purpose was to supply water to the peninsula of Panagia. Today, Arches although they have lost their original role, maintain the beauty and prestige, as a monument, real symbol of Kavala, known nationwide. Its construction is dated to 1425 AD. It is a complex of towers, bastions and strong walls and its purpose was to defend against numerous enemy attacks. Over the centuries the buildings of the castle received bombing and looting. Today however some parts are still in very good condition and even hosting cultural events. This is a huge edifice founded by Muhammad Ali Pasha in 1817 to commemorate his birthday-city. Located on the western side of the peninsula of Panagia, today survives almost intact. It used to provide social and educational services. Also operated as a "workhouse" for all the poor of the city regardless of religion. In 2001, hired by a private operator, restored and now operates as a hotel. In the surrounding area and in the city of Kavala will find numerous beaches for swimming. In order not to get confused, we will suggest only three. Just 2 km from the center of town is the "Kalamitsa", a beach, ideal for those who don't want to travel long distances while little further you will see "Batis". Further afield is New Peramos one of the major tourist resorts. It has amazing beaches, great restaurants and many shops for its visitors. Finally Keramoti which is placed a bit long (40 km. ), but the exotic landscape will reward you. The Archaeological Museum of Kavala is one of the most important of Greece. It opened its doors in December 1964 and it houses to its halls representative monuments of the region of Eastern Macedonia and Thrace from Neolithic period, such as objects of stone and clay. 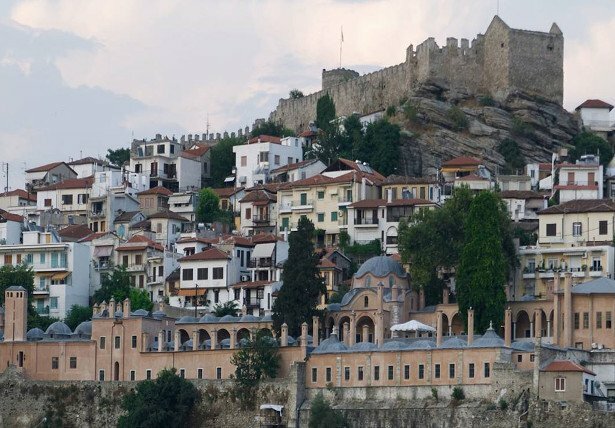 The relationship of the city of Kavala with the cultivation of tobacco is close and long in history. From the mid-18th century already, the economic development of the region associated with tobacco farming and tobacco workers. Unfortunately after the 1930 change in the treatment of tobacco led to the extinction of tobacco profession in Kavala. The Tobacco Museum is a theme museum, which includes objects and archival material relating to the cultivation and production of tobacco, and agricultural processing. In addition to the first two museums of Kavala, you can also visit the Historical and Ethnological Museum, where you will admire exhibits of the famous Cappadocian School and the Folklore Museum with rich historical, ethnographic and artistic collection. A visit to Kavala will be unforgettable, among other things, for the famous traditional products that you can taste and buy. Known across Greece are the New Karvalis buns and other sweets produced by various family businesses. As a large fishing center, Kavala offers lots of fresh fishes and seafood in one of the taverns in the east of the city. The Kavala region is also famous for its tasteful potatoes produced there and since 1992 it is organized the "Potato Festival" on the first Sunday of September. Finaly Palaiochori Pangaiou is famous for the delicious chestnuts and for the "Chestnut Festival" on the last weekend of October.